Engobes are either natural clays or a mixture of clays and ceramic raw materials, and are typically rich earth colors and subdued tones. Only water is added to obtain a working consistency like thick cream. AMACO Engobes can be applied to unfired clay using a variety of methods. Any AMACO® dry or moist pottery clay may be decorated with AMACO® Engobes and fired to the maturing temperature of the basic clay. Usually, a clear transparent glaze for unique effects is applied over the entire decorated shape. 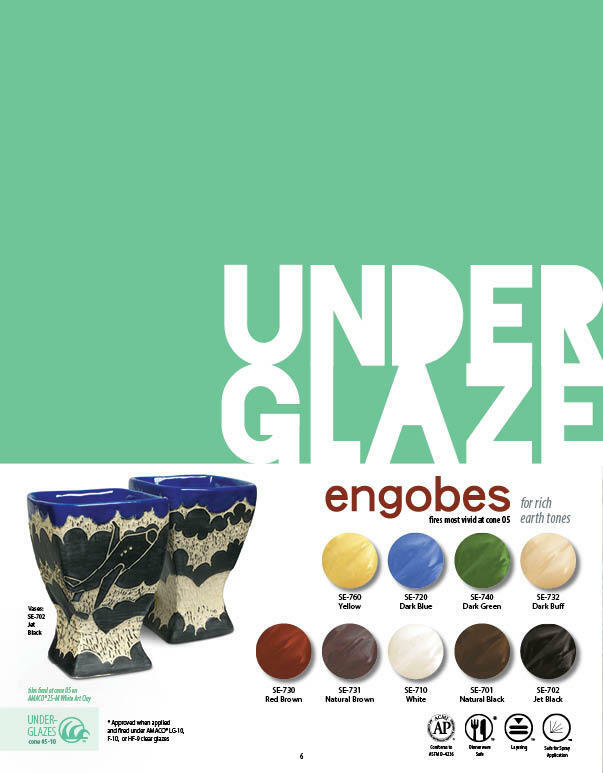 Here is a downloadable PDF of the Engobes page from the 2015 glaze brochure.